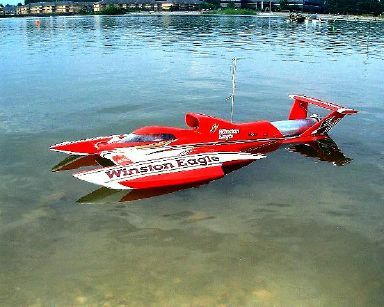 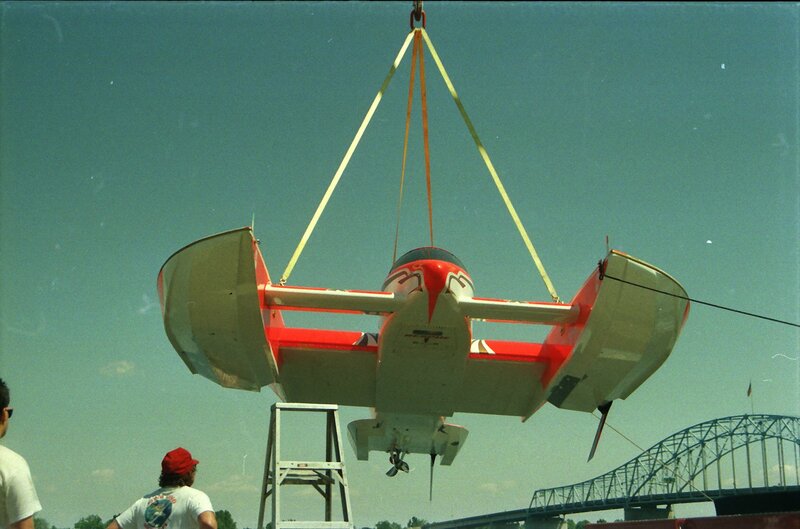 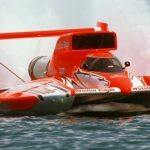 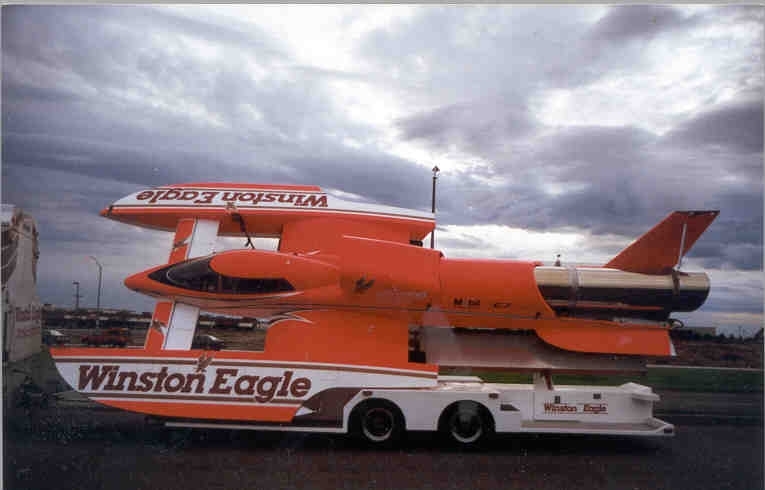 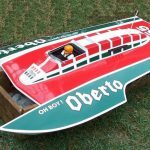 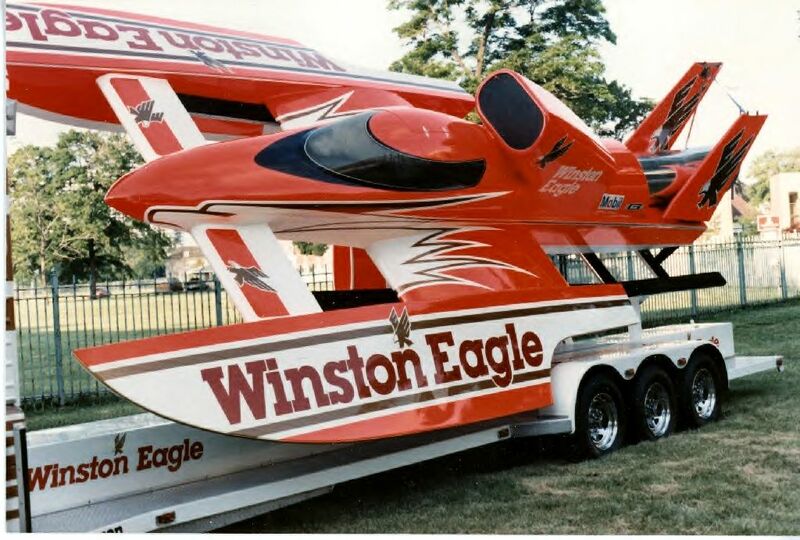 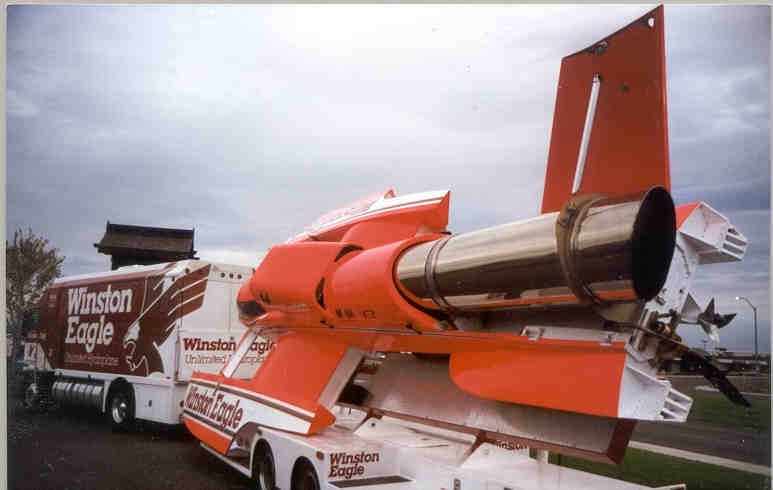 The Winston Eagle Lobster boat is a IMPBA record setting boat. 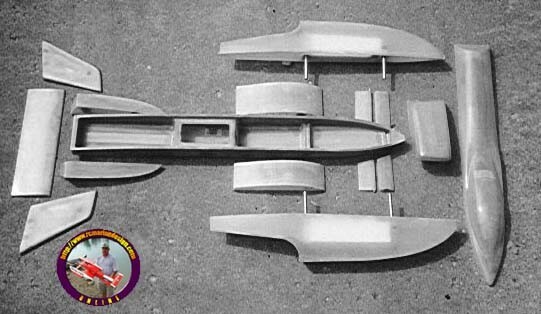 The kit is all epoxy glass. 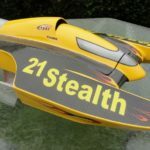 The center hull is foam core epoxy glass. 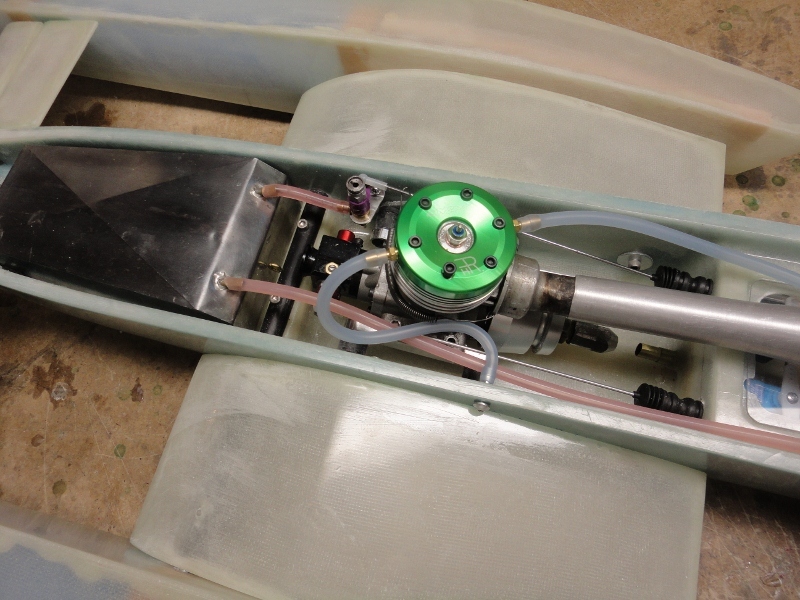 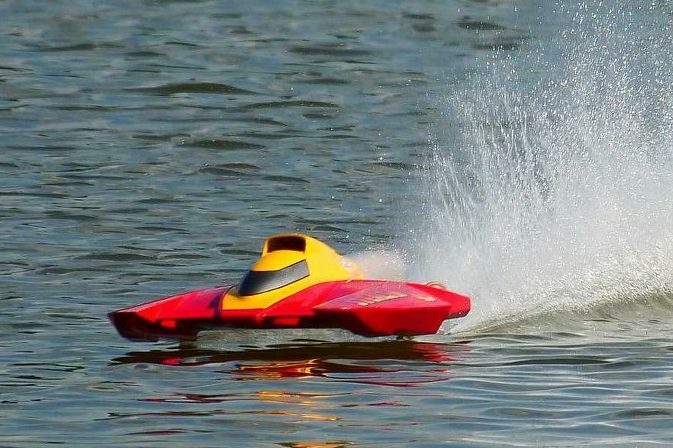 The radio box is molded into the hull behind the motor. 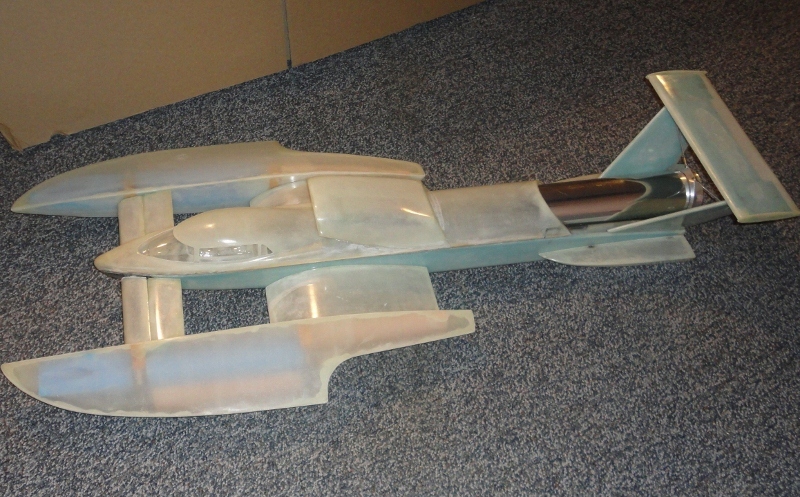 The cowling is all epoxy glass fitted to the hull, the wings are joined and foam core, ready to mount. 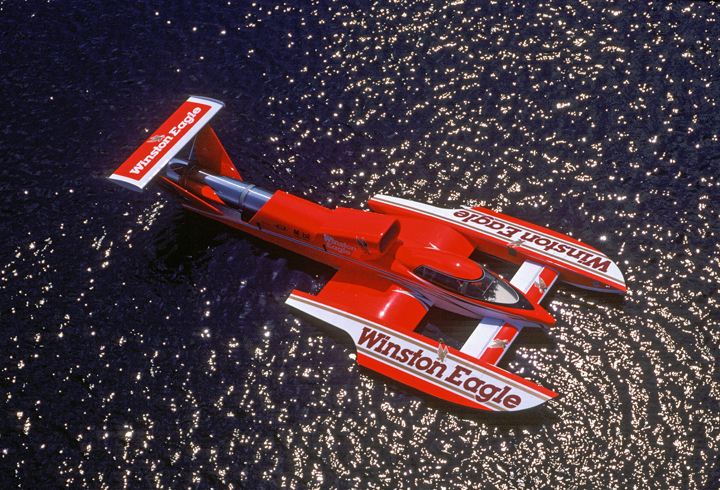 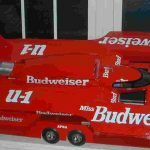 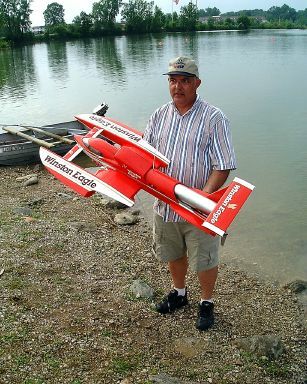 The Winston Eagle (Lobster) kit includes the hull parts, wings, molded driver figure and clear winshield.